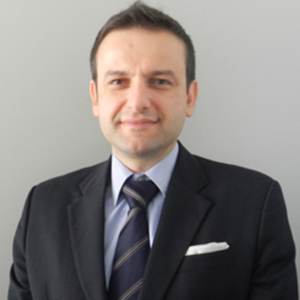 Pangratios has joined KPMG in Cyprus in 2003 and became a Board Member in 2016. He is very influential in the growing entrepreneurship and startup ecosystem in Cyprus and he is a speaker, host and moderator in many of the local events. In 2014 he was pivotal in the creation of the KPMG Enterprise and Startups team of KPMG Cyprus, for which he is currently the team leader. The KPMG Enterprise and Startups team of KPMG Cyprus, is established to facilitate entrepreneurial change in Cyprus and help entrepreneurs in their journey to turn their ideas into successful businesses. He is mentoring teams whilst he is also involved in developing their business model, got-to-market approach and finding investors. Pangratios is also part of the crowd funding initiative in Cyprus and involved in the legislation drafting. He has extensive experience in auditing clients from diverse industries, including capital markets and he is actively involved in Alternative Finance initiatives e.g. funds. Pangratios is committed to excellence and turning knowledge into value. He is responsible for a number of committees and groups within KPMG, namely the training group providing training and support within KPMG, and the International Financial Reporting Standards group providing insights, consultation and training on financial reporting issues both internally and externally.